Enter an intense, 360 degree world one thousand (or perhaps now 983) years in the future! Panzer Dragoon is a much loved Sega video game from the mid 1990’s. It is the first game in a franchise that still has a cult following today. The game sees you cast as a dragon rider, desperately trying to fight your way through hordes of enemies to catch up to the menacing black dragon. While your white dragon knows where to fly, you are responsible for defending against the airships and bizarre hostile creatures that inhabit the game world. The gameplay is simple but addictive and holds up well even today, despite the dated visuals. There are no special requirements for getting the game installed. Simply insert the CD and install to any location of your choice. Be sure to choose “Full” installation when asked by the installer. Remember to take a note of the location as we will need to open it up later. If you have issues with the installer not starting, browse to the CD in Windows Explorer or File Explorer, and open the “INSTALL” folder. Inside that folder there will be a file called “SETUP.EXE”. Run this file manually and the game will then install. Despite our test copy stating that it was incompatible with Windows XP and Windows 2000, Panzer Dragoon actually ran perfectly well on our Windows 7 x64 machine. All that was required was to change the PANZERDG.EXE file in the programs installation directory and apply Windows 98 / Windows Me compatibility mode. After this the game ran pretty much perfectly. On Windows 8, things are a little more complicated, but thanks to the efforts of dosse91 and VirtuaIceMan there are now two fixes for the game in Windows 8. Both of these methods worked on our Windows 8 machine, we recommend trying the ini file fix first, then the WineD3D method if that doesn’t work. 1) Browse to your C:\Windows folder on your PC. You may need to enable hidden files/folders in order to see this (that option is under the View tab, Options, Change folder and search options). Be careful not to change any files or folders in here. Instead, locate the file “PANZERDG.INI”, right click on it and choose “Copy”. 2) Click in the address/path bar of your File Explorer window and delete the current path, now type %LOCALAPPDATA% and press enter. This will take you to a hidden folder on your PC. Open the folder “VirtualStore”. 3) In the VirtualStore folder, either open the sub-folder “Windows” or create it if it doesn’t exist, then open it. 4) In the VirtualStore\Windows sub-folder, right click and paste in the “PANZERDG.INI” file that you copied from your Windows folder. 5) Right click on the “PANZERDG.INI” file and choose “Edit”. Add the following lines to the bottom of the file. If there’s a section at the bottom that begins [Screen] already, delete it and replace it with the lines below. If you need help with editing files, see this tutorial. 6) Save the file and start Panzer Dragoon again, it should now run perfectly. If it still crashes to desktop, try copying the PANZERDG.INI file you just edited from the VirtualStore folder to your Windows folder, overwriting the existing PANZERDG.INI that’s already in there. When using this fix, be careful not to press the F7 key while playing. If you do, you will switch the game to low resolution mode and it will instantly crash back to the desktop. WineD3D Wrapper Fix – With dosse91’s new WineD3D DirectX to OpenGL wrapper software, the game will run perfectly fine on Windows 8 too. If the above fix didn’t work for you, this option still might. This solution required a little hex editing, but fear not as we’ve done the hard work for you. Simply download this pre-patched executable and these dll files (link(s) broken? Let me know here) and copy/extract them all from the zip folders to the root of your Panzer Dragoon game folder (C:\SEGA\PANZERDG by default). Overwrite the existing PANZERDG.exe when prompted (make a backup copy first if you like). Once this is done, simply set Windows 98 / Windows Me compatibility mode as per the Windows 7 instructions and you’re all set. Game Speed – Normal or fast, realistically on any modern machine this should be set to Normal. Interlace – This appears to add a scanline effect, similar to what would be seen on a low resolution monitor. Turn it off or on depending on your preference. Graphics Detail – Again set this to high on any modern PC. AVI Size – We’re not entirely sure about this one. AVI usually refers to videos, so perhaps there are two different quality presets for the video files, set it to large. If you have an ATI or NVidia card, you can try enabling anti-aliasing and other processing features in the NVidia/ATI control panels. Doing this may increase the visual quality further, though in our tests it didn’t seem to make an awful lot of difference. While there aren’t any sound quality options in the game, there is one change you can make to improve the music playback in the game. Panzer Dragoon uses a CD audio soundtrack. Due to some changes in CD audio playback in more modern versions of Windows, this means that in certain parts of the game the music will simply stop, instead of looping the currently playing CD track. To fix this problem, follow our _inmm.ini tutorial.. Once this is done, music should play correctly. If you follow the _inmm.dll tutorial then get an error when you start the game that says “Cannot execute _inmmserv.exe”, you will need to browse to the _inmm.dll folder manually (it’s in C:\Program Files (x86)\_inmm by default) and first run the “_inmmserv.exe” executable manually. Once this is done, start Panzer Dragoon again and things should work perfectly. You can check that _inmm.dll is correctly working by ejecting the games CD once on the title screen (you will still need the CD in the drive to start the game). If the music continues playing with the CD ejected then everything is working correctly. 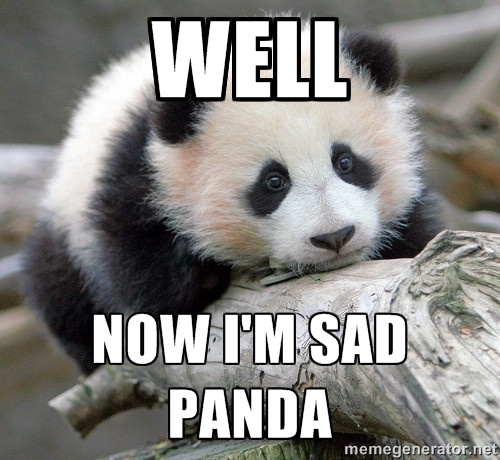 Panzer Dragoon does have limited game controller support. 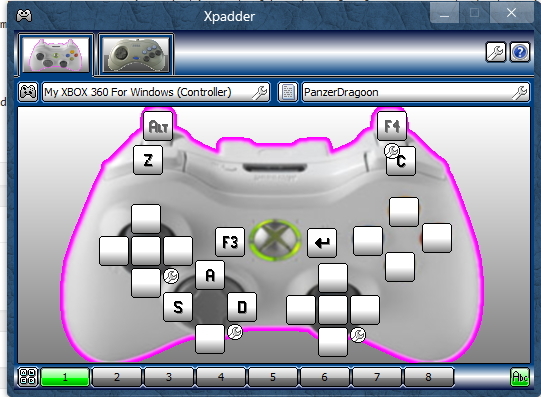 However for best results we strongly recommend using XPadder. If you need to remap the controls in-game you can do so by pressing the F5 key. Below is a picture of our Xpadder profile for the game. With this profile we can set the camera using the D-pad, turn the rider left and right using the shoulder buttons, skip the games introduction/cut scenes with the start button and pause with the back button. By holding down both analogue triggers we can also quit the game, great if you’re running it from a HTPC front end and don’t want to get up and go to the keyboard. The rest of the controls are undefined here in Xpadder and will need configuring in-game. Black screen when starting a new game/new level or during the opening introduction – For some reason some of the games video files often fail to play when they should and instead all you see is a black screen. Don’t panic! Simply press the F3 (Pause) key twice (as if pausing then un-pausing). For some reason this magically fixes the videos. Hello, I am currently running windows 7 home premium 64bit OS and whenever I attempt to boot up the game I get the error of “Not Create Surface(Directdraw)” then the game closes. Why thank you! That simple update has worked like a charm, the game runs perfectly. Care to share with us what settings you are using? I get “Not Set ColorKey (DirectDraw)” when I try to run the program with DxWnd. Hey guys, the game is running fine for me, but for some reason there is no music at all. I have tried all the “F” buttons, but none of them seem to be related to the music. Does anyone know what could be the cause? I’m running on Windows 7, and yes, I have tried compatibility mode. Nevermind! I’ve found the problem. Care to share your solution with everyone? Can’t you guys make a patch? Can’t you make one for us? I found an easier fix for Windows 8/8.1, that doesn’t require updated files and doesn’t require any compatibility modes (if you do add Win98 it’ll error!). The game, when started, says “Not Attached Palette(DirectDraw)” then closes. This is because it’s trying to start in 320×200 8bit colour, which is largely unsupported without a wrapper like the one above (or Dege’s dgVoodoo Direct3D wrapper, which also works). If you don’t want to replace any files, all you need to do is swap the initial graphics mode to one the game can take. To do this you need to locate the game’s PANZERDG.INI file, which will be tucked away in a sub-folder of the Users folder. To find it just search your PC for PANZERDG.INI – it should find 2 instances, one in C:\Windows (ignore) and one in C:\User\…a really long path name! Open this second one, then scroll to the bottom and change: VMode=320*200*8 to VMode=640*480*16 then save the file. 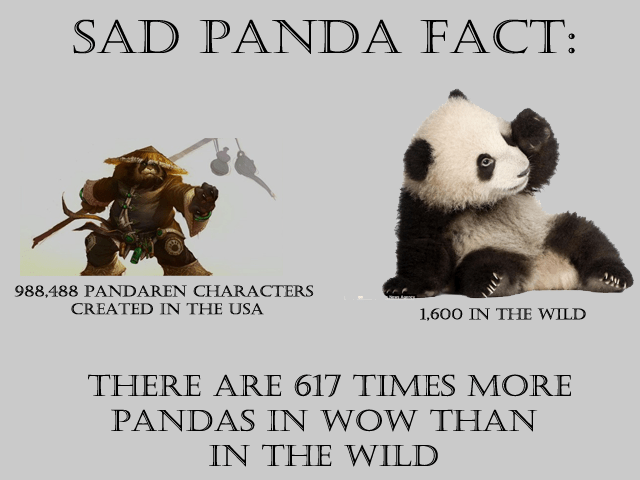 The game should now work. Just don’t swap the graphics (under F7) back to low-res! Incidentally, whether you use my method or the original one above, if you can’t see the opening videos, just press F3 twice to pause and unpause, and you should see them (the opening video should play after the SEGA logo, and the intro video plays once you’ve chosen your difficulty level). No errors running 98 compatibility mode here (in fact this is definitely required on some machines) but yes, fantastic find well done! I will update the article. It’s rare for a game of this vintage to store config files anywhere other than the games directory, that’s why nobody (including me) ever spotted this before. Edit – The path is actually “C:\Users\Your Username\AppData\Local\VirtualStore\Windows” which now makes sense. This is where modern versions of Windows redirect the game to write it’s ini files since C:\Windows is protected. Yeah I was going to post the full path, but I thought searching for the filename is easier for most people! I noticed some other Sega games end up with their ini files in there, too. p.s. the only Sega game I’ve had no luck with on my home Win8.1 64bit PC is Baku Baku Animal, even with 256 colour mode (which makes it work on my work Win7 64bit PC). Though my work PC has ATI graphics, not Nvidia. There’s a demo of Baku Baku Animal here, if you want a try https://archive.org/details/swizzle_demu_BAKU (note: the dmix.dll and dino2d.dll files aren’t installed into the commercial game folder, but they’re on the CD in a sub-folder, so can be added to the install folder manually). I know that game from the Saturn, it’s pretty good. Have you had any joy with Bug? Baku Baku Animal seems to crash C:\Windows\SYSTEM32\DCIMAN32.dll, so I don’t know if that’s a useful pointer towards anything? !